These next generation of Cool products will not only keep you cool, but is also designed to have you looking cool as well! 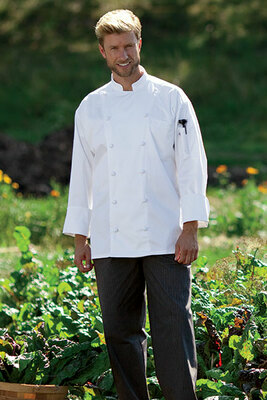 There's nothing softer or cooler than these 100% cotton chef coats! 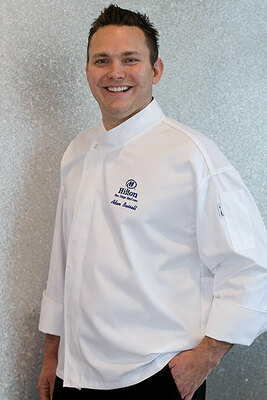 Stay in style with 12 hand-rolled button executive chef coats. 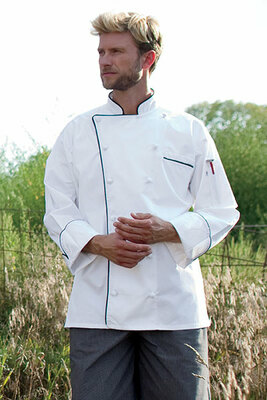 These poly-cotton chef coats are highly curable for the working chef and line cooks. These coats are available in all white and/or various trim colors. 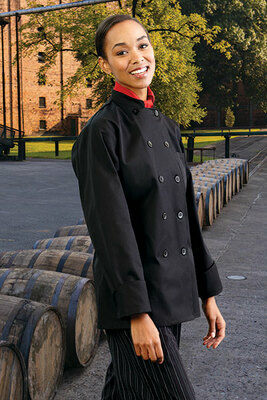 Contoured for the lady chef, these lady chef coats fit and look great for the lady executive chef. 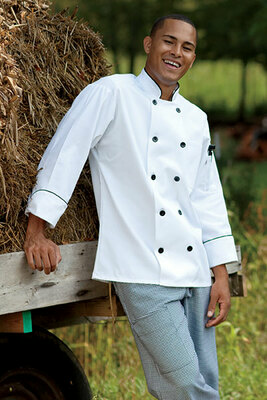 For those hot summer grueling days and nights, these short-sleeved chef coats will keep you pleasantly cool. 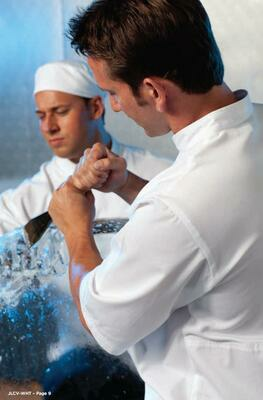 Need to outfit your kitchen staff with chef uniforms that keep them cool but perform under pressure? 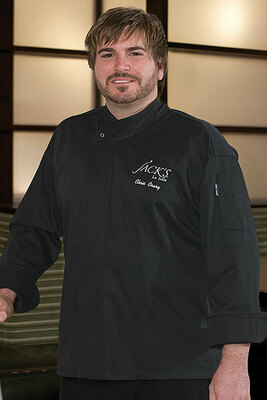 Want to find chef coats that stand up to all of the wear and tear of a busy restaurant? Then you’ve come to the right place. 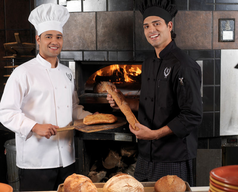 At SharperUniforms.com, we carry one of the net’s best selections of chef uniforms and chef coats to outfit any busy kitchen. 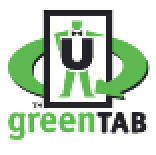 No matter what your restaurant or staff size, we’ll work with you to ensure that you get a perfect fit. From the executive chef coat to the working line cook, we have the right chef coats and chef uniforms to outfit your staff. 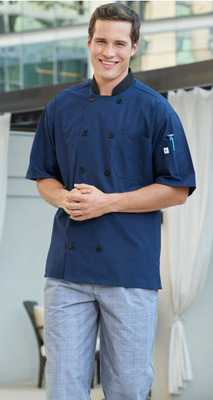 All of our chef coats and chef uniforms come made from durable fabrics that are designed to keep your staff cool when things start heating up in the kitchen. Choose from 100% Egyptian cotton, cotton twill, polyester cotton blends, and other fabrics to find the one that’s most comfortable and best suited for your restaurant needs. 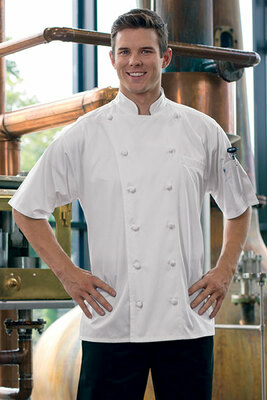 Shop the selection of chef uniforms today at SharperUniforms.com and save. 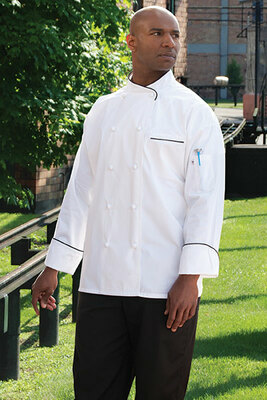 Feel cool under fire with this short sleeve chef coat. It has a moisture wicking back to keep you even cooler. 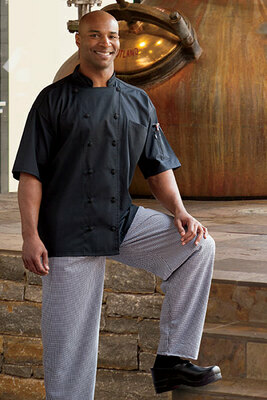 Pure class 100% Egyptian Cotton with black trim and hand rolled buttons, you'll be the class of the kitchen! Easy-care 65/35 poly cotton twill-7.5 oz.